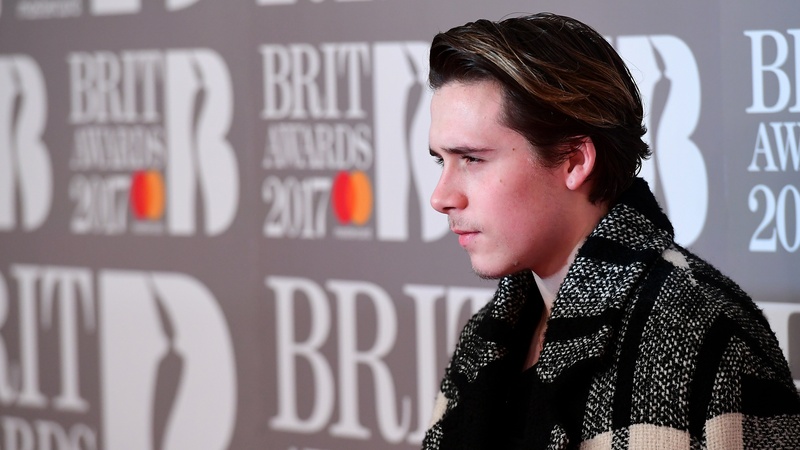 Pictures of Brooklyn Beckham posing with a gun have been defended by the photographer – saying it was a “creative moment”. Victoria and David Beckham’s photography student son pointed the prop weapon at the camera and held it across his chest, in a shoot by photographer Damon Baker. After the snaps were posted on Instagram, Beckham, 18, was accused of “popularising gun violence” and of depicting a weapon that causes “destruction and despair”, despite “being brought up with such privilege”. Photographer Baker later defended the images, saying that he comes from a deprived area of Birmingham, where “people often turn to crime” and “guns play a big part”. “I come from a poor section of Birmingham, England. Where inequality and unemployment are the highest in the country. In these desperate conditions people often turn to crime, guns play a big part here. I’ve seen it first hand,” he said. “It is a sad but true fact of the current world we live in that guns are everywhere. Hi My name is Damon and I would like to comment on the recent controversy surrounding my pictures with Brooklyn Beckham. I decided to shoot Brooklyn in a black and white portrait series, in a few of the shots he is photographed with a prop gun. I feel that this creative moment was unfairly seized and exploited to fit the narrative of “Brooklyn Beckham promotes gun violence.” It is a sad but true fact of the current world we live in that guns are everywhere. They are in every other Hollywood film, they are on the streets, they are on the fields of the endless wars that our governments have launched. I come from a poor section of Birmingham, England. Where inequality and unemployment are the highest in the country. In these desperate conditions people often turn to crime, guns play a big part here. I’ve seen it first hand. I feel that it is the role of art to expose truths about the times we are living in. In these particular pictures I saw Brooklyn as a subject, a model. A blank canvas. For me he played a role the same way that a famous actor/actress would play in a gun packed action film or more preferably if they played a role in a film exposing the honest reality of gun violence. When I look at our work I don’t feel that it in any way promotes gun violence as much as it exposes the gun as a tool used to control the masses and uphold a system of oppression. That’s why I directed him to point it right at the camera. You may feel triggered, you may even walk away with a different interpretation, but that’s art. If it doesn’t move you, if it doesn’t wake you up, what’s the point? In many ways we are living in dark times, where freedoms and livelihoods are being stripped from the people pretty much at gunpoint. I don’t think it is the job of my generation to sugar coat reality. Beckham was “a subject, a model” and “a blank canvas”, he added. Teenager Beckham, who is based in New York studying photography, posted a series of images from the black and white shoot on his Instagram account.